It's been almost 2 years since I posted my original blogs about Dental Core Training... it's about time for an update! And what more excuse could there be than by contributing to a textbook about the process! I hope you have stumbled across some of my previous DCT posts to help give you an idea not only of how to prepare for the interview itself, but what can be expected from a DCT post and the options you have. 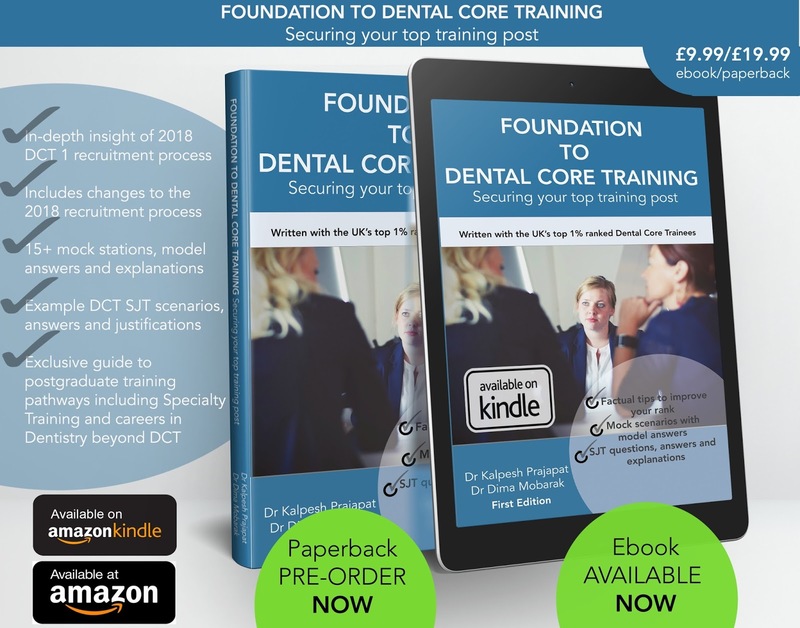 Together with other previous core trainees, I have been able to contribute to the NEW 'Foundation to Dental Core Training' text book by Dr Kalpresh Prajapat and Dr Dima Mobarak. This is your A-Z of the process with example questions and scenarios and a must for anyone who is applying for DCT1, 2 or 3! Get your copy now on Amazon here! And of course make sure you read all the guidance on the COPDEND website which has all the need to know dates you should put in your diary. Have you purchased the textbook? Did you find it useful? Let me know in the comments below.